Is your guitar playing improving more slowly than you would like? If so, you have likely attempted to do multiple things to reverse the situation such as spending more time practicing your instrument or perhaps looking for ways to motivate yourself to get more from your guitar practicing efforts. If you are like most guitar players, you have eventually found that simply “practicing more” is often NOT the answer to your guitar playing challenges. The truth is that guitar players who consistently make progress as musicians all have similarities in their underlying approaches to practicing guitar (to find out more about what these similarities are, watch this free video on how to learn to play guitar). In addition (just as importantly), there are several traits that guitar players who have a hard time progressing also share in their approaches to guitar practicing that restrict them from reaching their guitar playing potential. 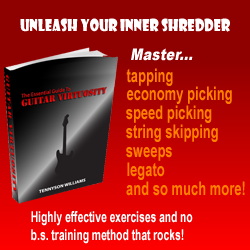 Far too many guitar players obsess over looking for an answer to the question such as: “How much time is needed for one to become a good/great guitarist?” It is normal to wonder about this issue in the early stages of your guitar playing, however too much energy spent focusing on the concept of “time” will only delay the process of reaching your guitar playing goals. The reason is because your guitar playing results are NOT directly affected by “how much” you practice your instrument but rather by “how WELL” you practice. The classic saying: “It’s not how much time you spend doing something, it’s HOW you do it that matters” sums up this point nicely. In addition to the above realization, focusing on how long something should take to learn on guitar will (subconsciously) move your attention away from the things that matter (such as learning how to practice guitar effectively) onto things that don’t matter (counting days until an arbitrary date on the calendar is reached). Rather than falling into the trap above, focus your mind on finding ways to make your guitar practicing efforts more effective. As you do this, you will often notice that the “time” it takes for you to see results will become less than you expect. To learn how you can do the same in your musical training and become a much better guitarist more quickly, watch this free lesson (on video) on how to learn to play guitar. While the two guitar practice problems described above often come up for self-taught guitarists, the following issue is quite common for guitar players taking music lessons. Although your guitar teacher’s role is to help you make much faster progress in your guitar playing than you can achieve on your own, it’s sometimes easy to overlook the fact that nobody but yourself is ultimately responsible for improving your own guitar playing. There isn’t a guitar teacher in the world who can do all of your practicing for you and there isn’t a magic video or book on guitar playing you can study that will make you a great guitar player simply because you watched/studied it. Having said that, it’s important to mention that “taking responsibility” in no way means that you must assume that you know more than your guitar teacher or completely dismiss new ideas or guitar learning resources. All this idea means is that you must put in the work on your own with applying whatever materials or concepts you use to improve your guitar playing. It also means for you to at least “attempt” to think through your problems before asking for help. Doing this will help you to achieve a much needed level of balance between feeling in control of your own musical progress and seeking outside help when it is truly needed to allow your guitar playing to improve more quickly. To find out more about how to get greater results in your guitar playing and practicing, see this free video on how to learn to play guitar. Mike Philippov is a guitar teacher and professional musician. His lessons and writings about the process of practicing guitar are read by guitar players around the world. 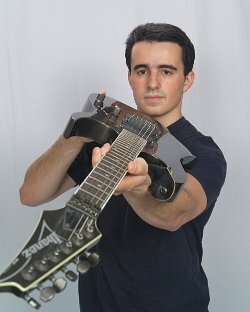 Go to http://PracticeGuitarNow.com to find a collection of free guitar learning materials that will help you to become a more advanced musician and guitar player.